After no fewer than 16 meetings and protracted negotiations with the organised private sector, the authorities in the 36 states and the federal government, the Ama Pepple-led national minimum wage tripartite committee finally submitted its report to President Muhammadu Buhari on Tuesday. And with the presidential endorsement of the recommendation, the sum of N30,000 was approved as minimum wage in Nigeria. But serious questions remain on whether the government (in both the states and federal) as well as the private sector can afford such a steep wage rise–even when what we are talking about is actually less than a hundred dollars per month. Before I deal with the substantive issue, I need to highlight the fact that the process by which the Pepple committee arrived at the figure of N30,000 was perhaps the most rigorous of any such undertaking in recent years. When they started work last December, labour was demanding N66,500 per month while the organised private sector proposed N25,000. At that point, the governors were asked what they would offer and 21 of them responded to the committee’s request. Incidentally, of the six governors, each representing a geo-political zone, that were in the committee, only Abubakar Bagudu of Kebbi, who represented the North-west, took the assignment seriously by attending the sessions. I understand from the committee that Rochas Okorocha of Imo, who represented the South-east, Ibrahim Dankwambo of Gombe, who represented the North-east and Nyesom Wike of Rivers, who represented the South-south never bothered to attend the meetings, preferring instead to send representations. Rauf Aregbesola of Osun, who represented the South-west and Simon Lalong of Plateau, who represented the North-central, attended one or two sessions before sending in representations. 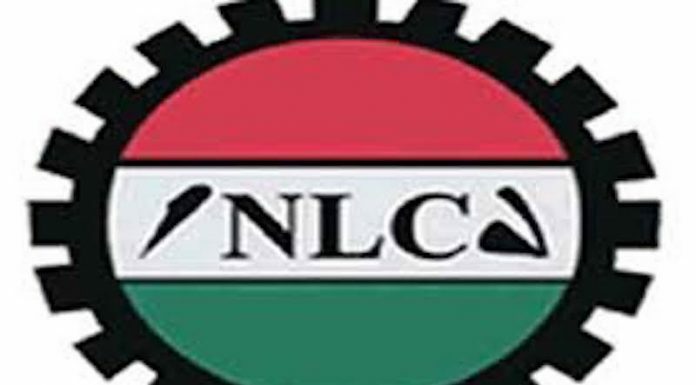 It is noteworthy that of the 21 states that responded to the committee’s call for counter-offer to the labour demand of a N66,500 monthly minimum wage, three states (Ekiti, Imo and Oyo) would rather the committee deal with something else. Ekiti State asked for a new revenue sharing formula, Oyo sought for reduction of salary disparity and review of fiscal structure while Imo simply proposed that states should be allowed to pay according to their income. Meanwhile, Abia State proposed N42,000; Akwa Ibom, 23,000; Bauchi, 25,200; Gombe, N28,000; Jigawa, N31,500; Kano, 30,000; Nasarawa, 24,570; Ondo, N22,000; Taraba, N20,000; Plateau, N25,000; Adamawa, N23,400; Borno, N27,000. It took the federal government a lot of back and forth before finally proposing N24,000. What the foregoing suggests is that majority of the states know that they can afford to make adjustment by raising the minimum wage. The question then is: Why are they defaulting on their obligations to workers even at the current minimum wage of N18,000 per month? Figures on the level of indebtedness by many of these states indeed paint a picture of recklessness, with some of them owing as many as eight years of arrears in pension and gratuity. In Imo State, for instance, the current government of Mr Rochas Okorocha has neither paid gratuity nor pension in the past seven years while core civil servants have not been paid pension in 14 months. Workers of the bureau for public procurement in the state have also not been paid salaries for ten months while judicial staff are owed three months. Meanwhile, some other states fare only slightly better. While Abia has a rough estimate of N25 billion in arrears of pension and gratuity, the figure for Bauchi is N20 billion aside the state owing leave grants to its workers for two years. Ebonyi has for the past three years been paying half salary to its workers and between 30 to 40 percent of gratuity with pension calculated on the basis of half-salary. With that, some workers who retired before 2011 get less than N1,000 per month as pension. Ekiti State owes workers about N32 billion in salaries, pension and gratuity while in Kwara, local government workers have not been paid gratuity since 2009, the last time any promotion or increment was done for workers in the state. In Kano State, secondary school teachers and health workers are owed eight month salaries with gratuity also owed since 2015. The debt to workers is estimated at N14.2 billion. In Cross Rivers State, workers are owed over N12 billion in gratuity while Gombe State also owes gratuity of N10 billion. In Kaduna, the major debt is to school teachers, including the newly recruited who have not been paid for four months. In Kogi, payments of salaries are done arbitrarily with several months owed between 2014 and 2018. Workers in Nasarawa are owed for three months with local government workers being paid 50 percent of their salary. The backlog of workers’ wages in Gombe is put at N10 billion. In Akwa Ibom State, some pensioners take home about N800 monthly that is not even regular. In Osun State where salaries are owed for several months, the unremitted contributory pension is estimated at about N50 billion. The financial situation of many of the 36 is a mess and I foresee a lot of problems ahead with the new minimum wage. In their meeting with the Nigeria Governors’ Forum (NGF), I was told that Governor Abdulaziz Yari of Zamfara State, who chairs the forum, vehemently argued that the issue was not about increasing the minimum wage but rather that many states would no longer be able to pay the current N18,000 minimum wage to their workers. This reasoning was so offensive to labour that their leadership on many occasions threatened to pull out of the discussions and would have done so but for the respect they had for Pepple who enjoyed their trust. The position of labour was that many of these governors appoint hundreds of personal aides who minister to their indulgences and are still ferried around in private jets and helicopters mostly to attend unnecessary social events, all at public expense, without defaulting on such obligations. Yet, as self-serving as Yari’s position and that of the other governors who oppose a review of the minimum wage may seem, there is also a dose of truth in the fact that as things stand today, majority of the 36 states depend almost entirely on allocations from the federation accounts aside being already heavily indebted to commercial banks. Unfortunately, Nigerians are also well aware that political office holders who collect stupendous amounts of money in salaries and other allowances are never owed even for one month despite their hefty remunerations. How then can anybody now argue that about $85 per month is too much for a Nigerian worker? What the NGF spokesman failed to take into account is that the position of the governors becomes untenable against the background that in many of the states, after serving for eight years, each of these fat cats is entitled to the full emolument, two houses of over N1 billion (one in the state capital and another one at Abuja), vehicles replaceable within two years, full medical consultation and treatment for them and family members. To show how Nigerians are being practically gang-raped, some of these men and women on pension for life (for which they corralled their respective Houses of Assembly) could also become ministers and senators who would be collecting jumbo pay in Abuja at our expense. Now to the federal government. As at July 2018, according to impeccable sources, there were 74,369 core civil servants in the Ministries Departments and Agencies (MDAs) as well as 241,537 non-core civil servants in the federal payroll. That gives a figure of about 320,000 which is over bloated aside the fact that there is no link between remunerations and performance. That point was underscored by the 2012 report of the presidential committee on the restructuring and rationalisation of the MDAs established by President Goodluck Jonathan. Chaired by former Head of Service, Mr Steve Oronsaye, the committee detailed sundry waste and mismanagement cases after identifying 541 federal government parastatals, 50 of which have no enabling laws. Some of the findings of the Oronsaye committee include a prevalence of high personnel cost with many of them receiving highly inflated budgetary allocations; many parastatals are top heavy and unwieldy and this impacts negatively on performance and productivity; successive administrations have over the years created parastatals not necessarily based on requisite need assessment that would drive development agenda while the existence of106 core research and quasi-research institutes spread across different MDAs with each one conducting its own research has engendered a duplication of efforts and resources as well as overlapping of functions with little result to show for the investments made. Other findings include the fact that under the monetization policy, no new official vehicles were to be purchased by any MDA except by the express approval of the President but practically all of them still purchase vehicles, thus resulting in double payment and whereas the extant regulation stipulates economy ticket for low and middle level officials and business class ticket for top officials of government who travel abroad, many of them (junior and senior) still fly first class in defiance of the law and at public expense. Now that the issue of minimum wage has come up, the leakage and waste that have for decades bedevilled the civil service in both the federal and the states should compel a national conversation. Yet, the reason the nation’s public service has grown exponentially is that most of them were set up as either task forces, or ad-hoc committees to undertake urgent and specific assignments outside the bureaucratic red-tape of the civil service. But no sooner was their job done than they get transformed into permanent agencies. This has been exploited by various administrations to ‘provide jobs’. As I once stated on this page, it is from the Oronsaye report that I learnt that Nigeria actually has a full-fledged research institute for the study of Trypanosomiasis! I am not unmindful of the social costs of any sweeping retrenchment in the civil service both in Abuja and the states but we cannot continue to do the same thing and expect different outcomes. A stroll around the federal secretariat complex in Abuja will reveal the current rot as many of the serving officers have turned their offices into trading posts. It is the same in many of the states where majority of the civil servants spend their day watching Nollywood movies. That is aside the ubiquitous ‘ghost workers’ and the thousands of others who keep ‘reinventing’ themselves through fraudulent age declarations that enable them to stay in service, almost in perpetuity. The large number of idle workers on the payroll in many of the 36 states as well as in the federal government is a serious issue that needs to be interrogated and labour has to be involved in this process. And there can be no better time than now. With thousands of idle typists and clerical staff and similar numbers of drivers who have no official vehicles attached to them, our civil service has over the years become more or less a social welfare programme. This definitely cannot continue. As the administrative machinery of government, the civil service is ordinarily responsible for implementing policies and therefore a vehicle for serving the people. Unfortunately, over the years, it has proved incapable of mobilizing scarce resources for the advancement of the common good and while the world is tending towards smaller and more efficient government, what we have in our country today is a behemoth that largely serves its own interest. Therefore, in dealing with the issue of minimum wage, it is also in our interest to examine the structure of our civil service both at the federal and in the states to see how it can begin to fulfil its mandate to serve the people better.